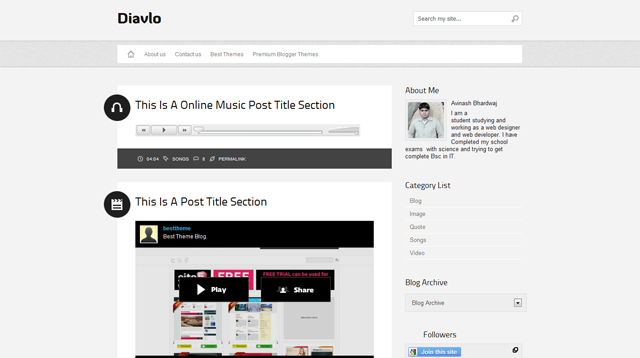 Diavlo Blogger Template is another beautiful blogger template which is modified and converted by us from WordPress template. Diavlo Blogger Template is a blogger theme is a tumble style post and have very nice use of JS so there is some icons are attached with different type of label. This is very nice template with is a very good if you are writing your personal blog and want to share different quotes, images, videos and more with world then this is a template for you.